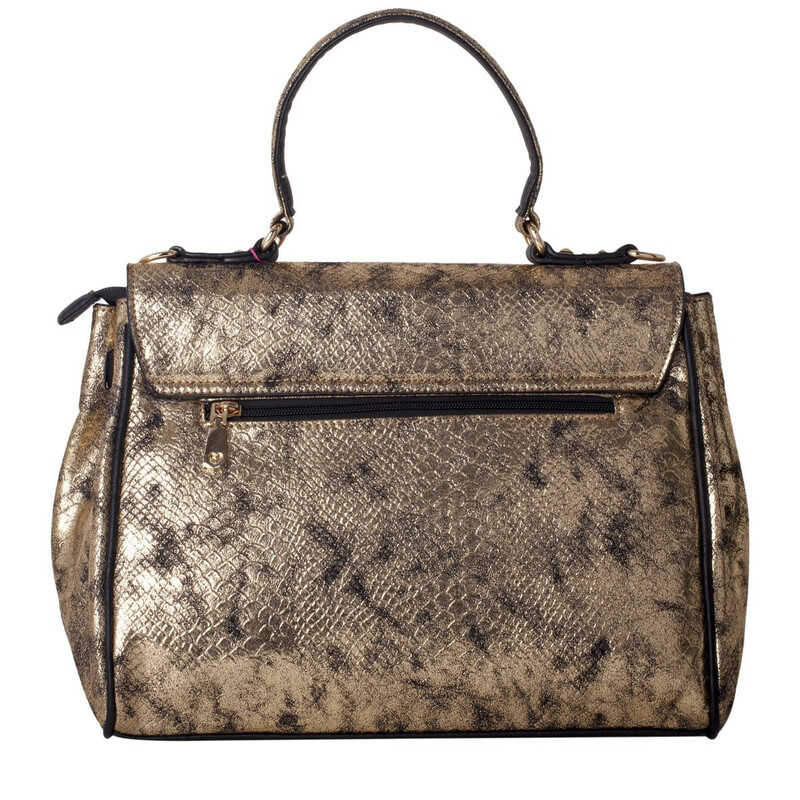 This stunning design, made with a metallic snake print PU, is the perfect piece of arm candy for any fashionista. 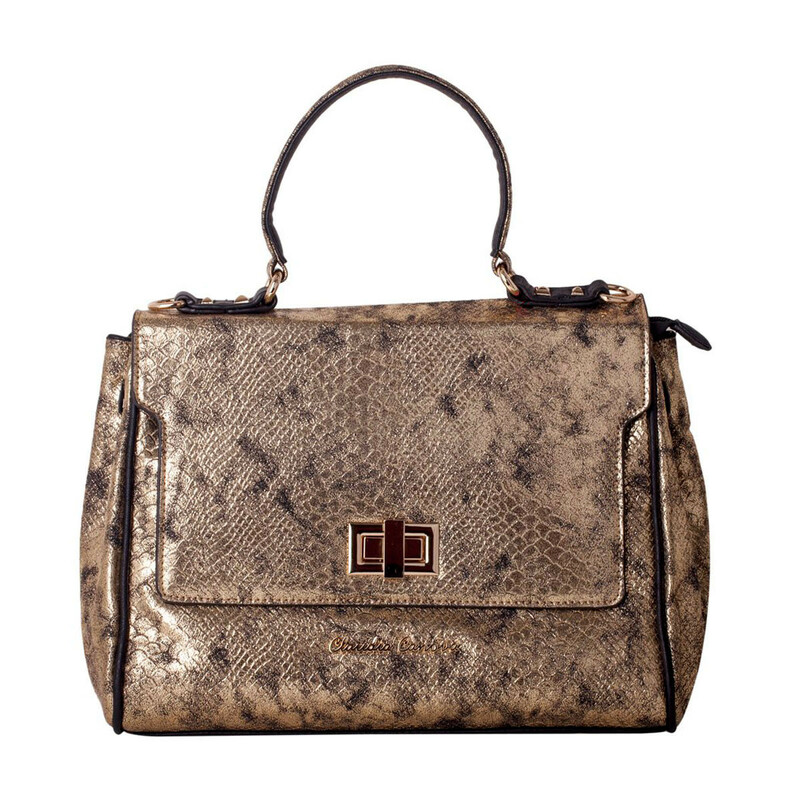 The turn lock flap-over front reveals a zip top opening for extra security. 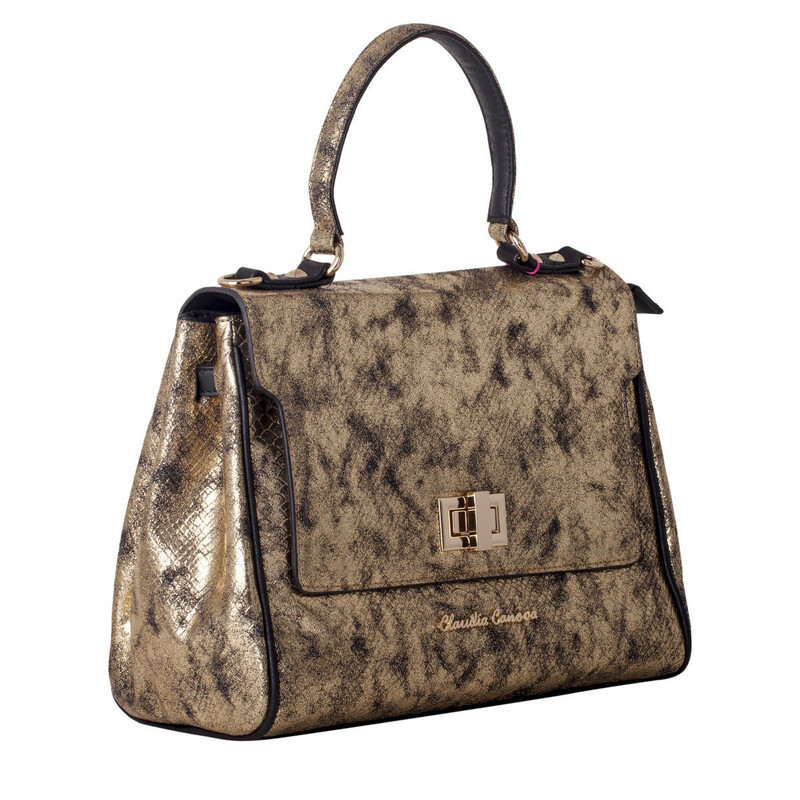 You have a choice of styling with the detachable shoulder strap.